‘‘Our mother was an excellent cook,’’ Lewis’s younger sister, Ruth Lewis Smith, told me recently. 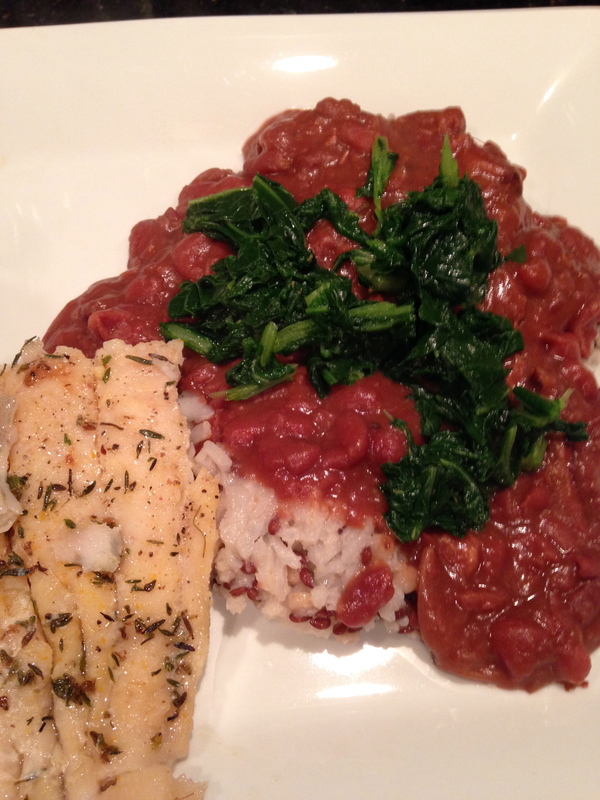 ‘‘Our Aunt Jennie was an excellent cook. A lot of our family went to Washington, D.C., to work as cooks. When they came home, they all learned from each other.’’ The elite homes of Virginia, going back to the days when the Colonial elite socialized with French politicians and generals during the Revolutionary War, dined on a cuisine inspired by France. It was built on local ingredients — many originally shared by Native Americans or brought by slaves from Africa — and developed by enslaved black chefs like James Hemings, who cooked for Thomas Jefferson at Monticello. Because this aristocratic strain of Southern cuisine was provisioned and cooked largely by black people, it came into their communities as well, including Freetown. Smith is 91 and still raises chickens; a cage of quail coo in her kitchen. When I called her, she asked me to call back later because her apple butter had been on the stove for two days, and it was ready for canning. 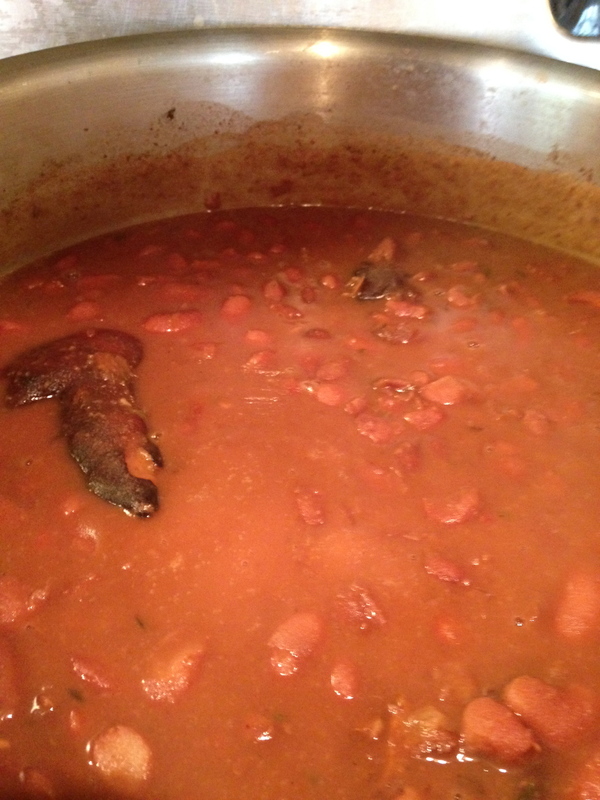 The traditions of French cuisine meet with produce locally available in the colonies and the cooking memories of a forcibly displaced and enslaved people who cross the social boundaries of mansion, field, shack to create what we call Ameican cuisine. It’s an argument reinforced by the cooking and research of Sean Brock who locates many of the American Southern cooking traditions in West Africa, especially with the recipe for Theibou Yapp. Often cooking moves us into the past, through a great arc of time into people’s homes long since gone, across oceans into a way of life that if it still exists may do so with the food we cook. Lewis’ introduction to her book The Taste of Country Cooking, immediately takes us back to a story of freedom, of the claiming of a right to exist on one’s own terms. 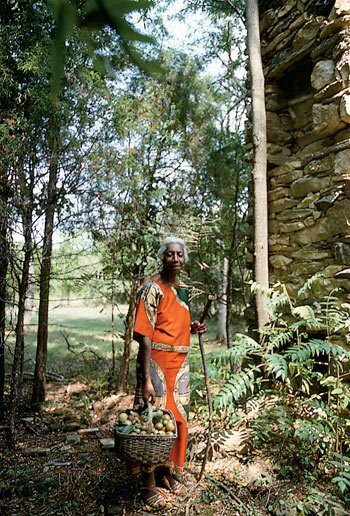 Edna Lewis stands next to one of the few remaining chimneys of Freetown in an article from Virginia Living, 2009. She claims an origin, but immediately must qualify place and time because origin and identity have only become something to claim and grow through emancipation and the Civil War. As Lam points out in his article, Lewis’ words echo those of Frederick Douglass in his autobiography. One of the most quietly devastating passages in American literature is the opening of ‘‘Narrative of the Life of Frederick Douglass, an American Slave’’: ‘‘I was born in Tuckahoe, near Hillsborough, and about twelve miles from Easton, in Talbot county, Maryland. I have no accurate knowledge of my age, never having seen any authentic record containing it.’’ Here we find so many of slavery’s psychological horrors in Douglass’s two simple, measured, masterful sentences: I can tell you, in great detail, about the location of my body. But I can’t tell you how long I have been here, because the system that made my body someone else’s property keeps the most basic, most intimate fact of my own life away from me. One may also read Edna Lewis’ opening words as continuing the final words of Harriet Ann Jacobs in Incidents in the Life of a Slave Girl. 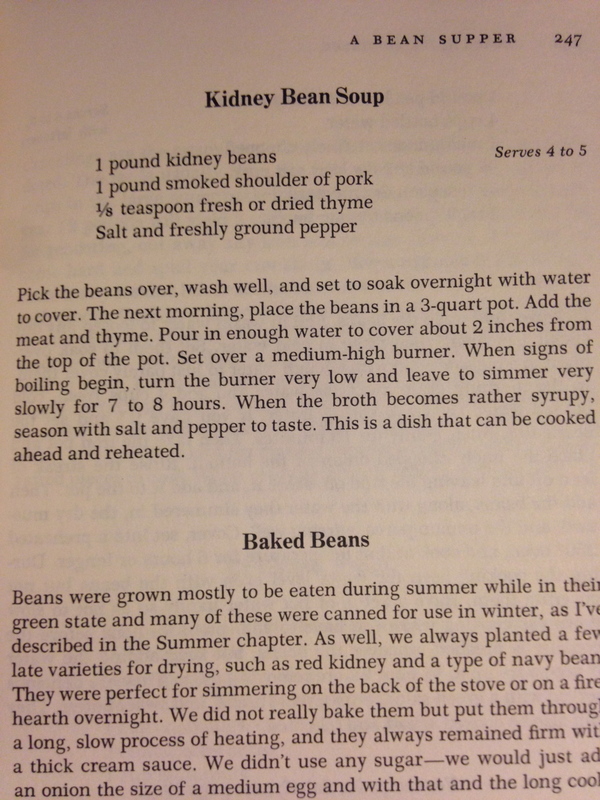 I’ve had a longing for some long-cooked red beans and found a wonderful recipe to fit the bill in Lewis’ book, let’s turn to her Kidney Bean Soup. Simple enough. 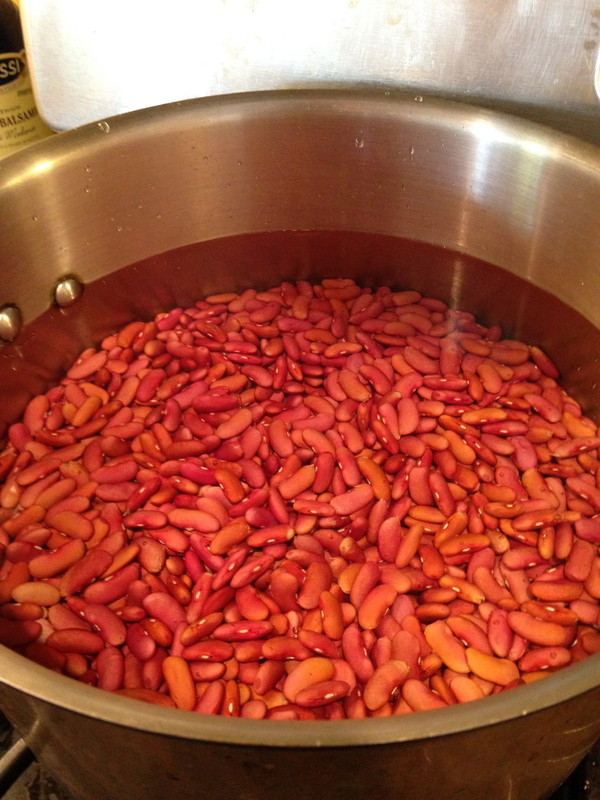 I fill a pot with 2 pounds of red kidney beans (I’m feeling particularly greedy) and cover with water, letting sit in the kitchen overnight. In the morning, armed with a cup of coffee, I add a smoked pig foot (instead of the smoked pork shoulder) and dried thyme. 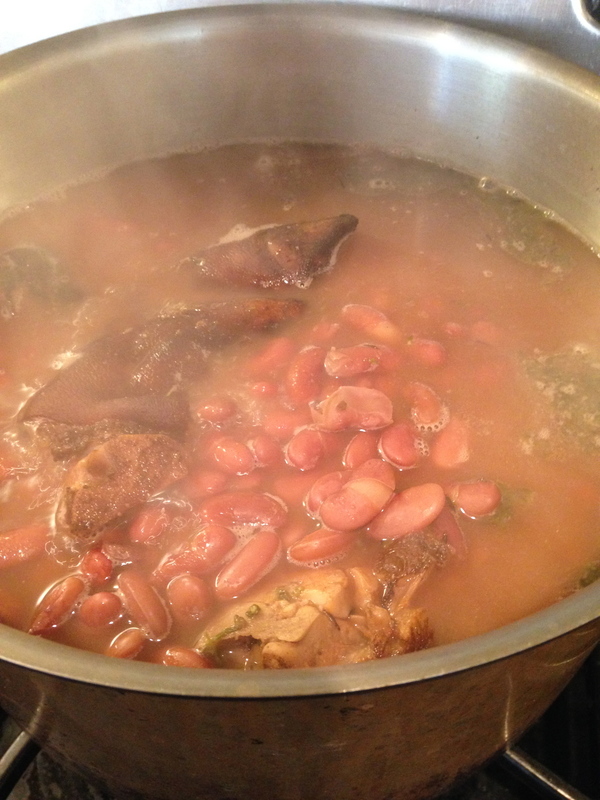 Now it’s just matter of letting the essence of slow cooking take over–time, eight hours to be exact. Along the way I’ve decided to cook Light Brown Rice with Whole Wheat Pearl Coucous, Brown Flaxseed and Black Lentils courtesy of Rice Select, and pan-fry Catfish fillets in pork belly fat. Of course, I can’t forget the mustard greens which I sauté in butter. Here is a deeply satisfying, deeply Southern nourishment. In upcoming posts I will explore more recipes from The Taste of Country Cooking, until then, I leave you with Edna Lewis. Bon Appétit!